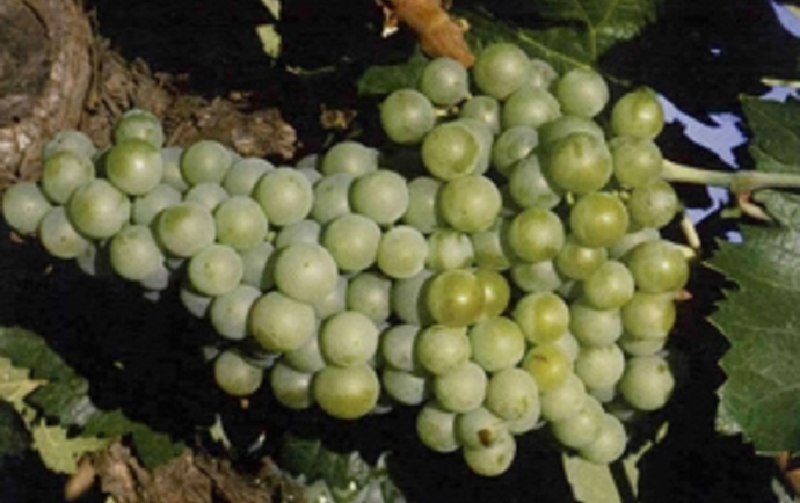 Synonym for the grape variety Cayetana Blanca; look there. The white grape variety comes from Spain. There are around a hundred Synonyms; the main alphabetically grouped by country are Doradillo ( Australia ); Calagrano Blanc, Malvasia, Malvoisie Espagnole ( France ); Djiniani ( Morocco ); Boal Carrasquenha, Boal Carrasquenho, Carrasquenho, Mourisco Branco, Mourisco Portalegre, Sarigo ( Portugal ); Amor Blanco, Aujubi, Avesso do Minho, Baladi, Baladi-Verdejo, Balay, Belledy, Blanca Cayetana, Blanco Jaén, Cagazal, Cazagal, Calagraño, Cayetana, Charello, Charelo, Chaselo, Cheres, Cirial, Dedo, Dedro, Farta Gosos, Garillo, Garrida, Garrido, Garrilla, Garrilla, Hoja Vuelta, Jaén Blanco, Jaén Doradillo, Jaén Empinadillo, Jaen Prieto Blanco, Jaenes, Jainas, Jarime, Jean de Castilla, Jean de Letur, Jean de Letur de Maratella, Jean Doradillo, Jean Dore, Jean Prieto, Machuenco, Maizancho, Mariouti, Morisca, Morisco, Mourisco Arsello, Naves, Naves Cazagal, Neruca, Padero, Parda, Pardina, Pirulet, Plateadillo, Robal Tierra de Barros ( Spain ). This page was last modified at 23 October 2018 at 17:12.